One of my favorite places to stay when traveling to Walt Disney World is at Disney Caribbean Beach Resort. Talk about a tropical paradise, Disney does a great job at making you feel like you have stepped right onto a Caribbean island oasis. The Caribbean Beach resort is the largest on Disney property and is divided into sections with very tropical names: Trinidad (North & South), Martinique, Barbados, Aruba, and Jamaica. Each village has its own small pool, laundry facility and bus stop. When you arrive at Old Port Royale. you will see a colorful lobby under an open-trussed roof and a colonnade with floor-to-ceiling drapes. You will feel like you have been transported straight to a tropical paradise! The rooms are lovely and have a tropical feel. You will find two queen size beds, with a small table, cabinet with mini fridge and TV. 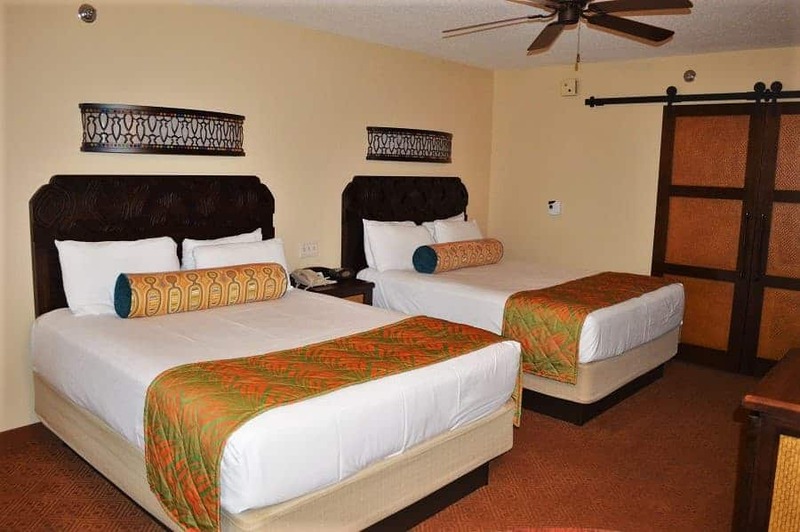 Some rooms at Caribbean Beach Resort feature a hidden bed so that the room can sleep five. 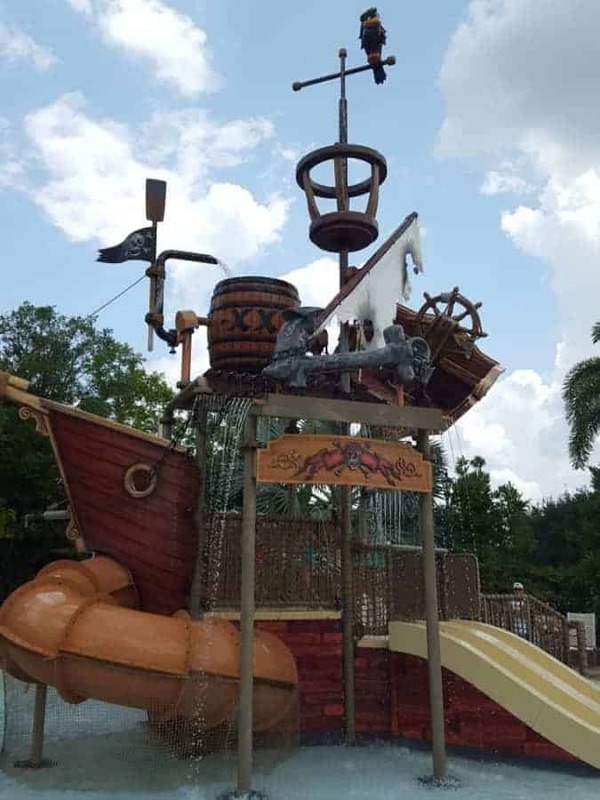 Caribbean Beach Resort is the only resort on Disney Property to feature Pirate rooms. These rooms are special because they are designed to look like you are on a pirate ship. Take a look at what the Disney Pirate Rooms look like at Caribbean Beach Resort. If you are a fan of Caribbean food, you will find some great dining options at Caribbean Beach Resort both for both quick and table service. 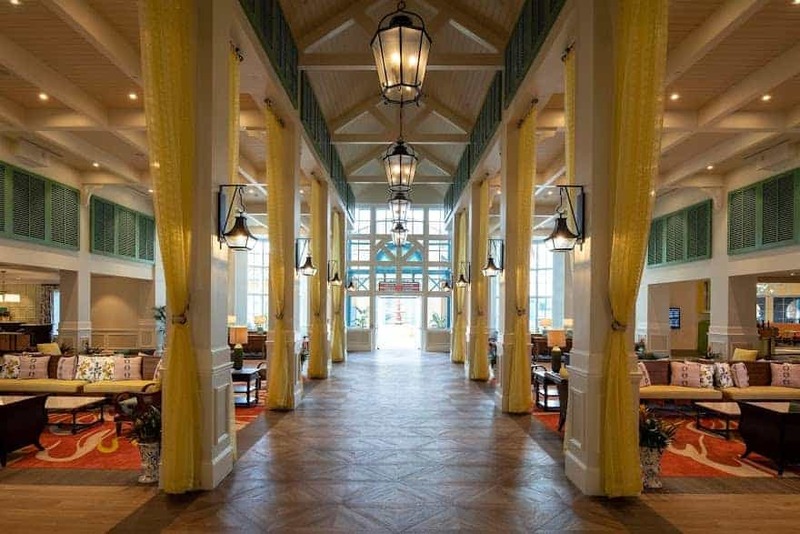 Take a look at the restuarant options when you stay at Disney Caribbean Beach Resort. Looking for some fun in the sun? There is an expansive zero entry pool that looks like a Spanish fort with two water slides. What is nice about the pool is that it is right near the food court, so you can easily have lunch poolside! 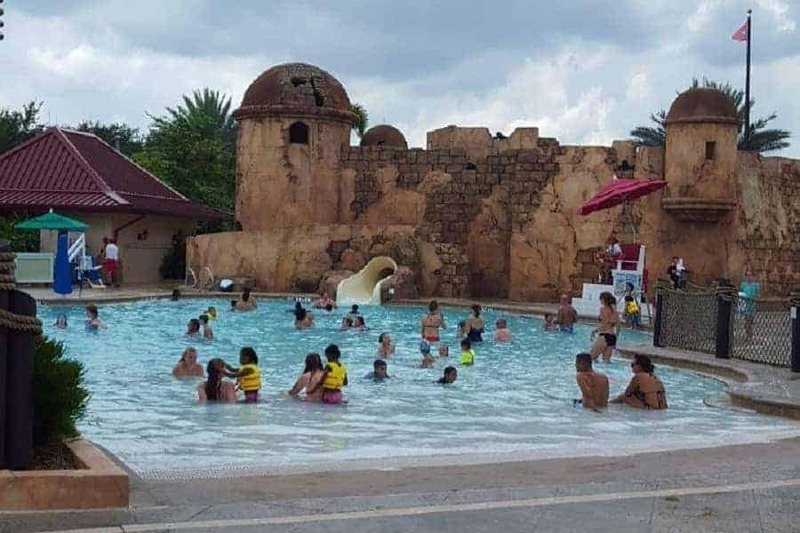 If you have little ones, you will LOVE the enclosed kiddie area that sits adjacent to the main pool. Lots of water fun with slides that are the perfect size for preschoolers! Footbridges over the lake connect the “mainland” with the one-acre Parrot Cay island play area for children and walkways which afford scenic lake views during leisurely strolls or a bike ride. A 1.4-mile tropical promenade around the lake provides great trails for those who want to take a walk or bike. You’ll find bike rentals available. The SkyLiner transportation terminal is currently being built inside the Disney Caribbean Beach property. If you remember from our What’s coming to Disney post, the Skyliner will eventually connect a few Disney resorts to Hollywood Studios and Epcot. Have you had a chance to stay at Disney’s Caribbean Beach Resort? What do you love most about it?